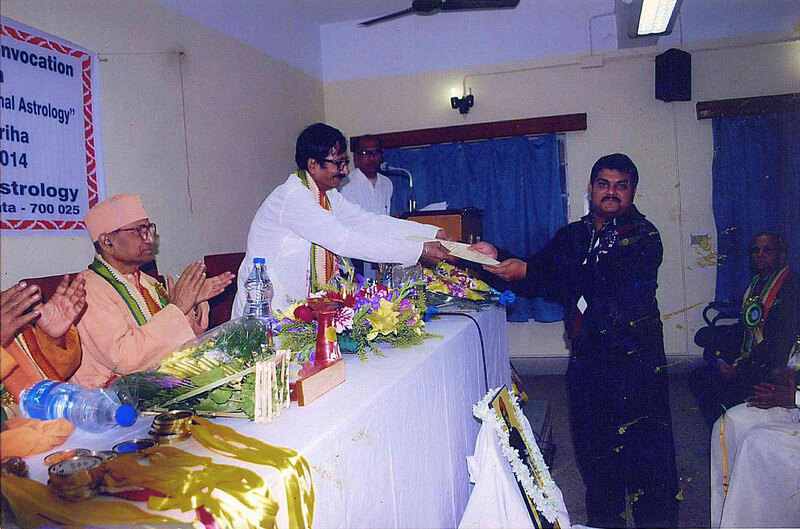 Sri Ashtaishwaryyapati Bhattacharya is receiving "Jyotish Shastri" title of this Institute, being 'faculty member' from Sri Malay Bandopadhyay, Hony. President of I.I.A. On his right, sitting on the dias, Swami Paramatmananda, General Secretary, Ramkrishna Bedanta Math O Biswa Bani Patrika and on his left, Sri Saurav Kamal Dutta, Hony. General Secretary, I.I.A. standing close to the president.